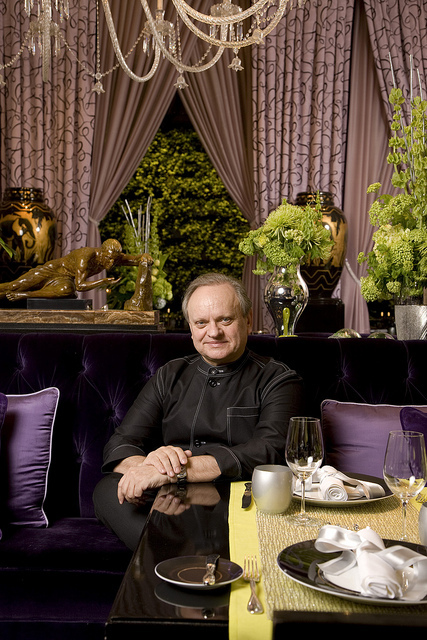 Chef Joël Robuchon has the most Michelin stars in the world so it's no wonder he makes a mean mashed potato. 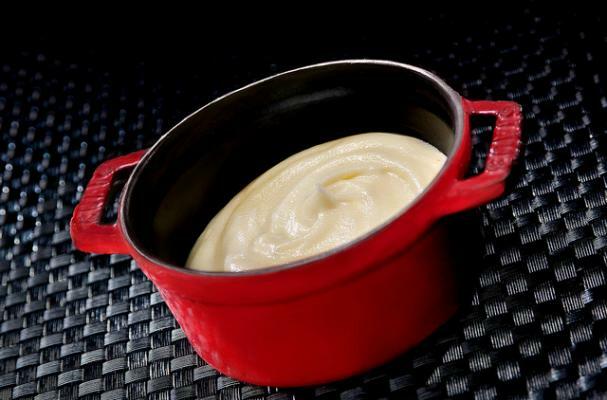 The key to his rich and velvety pommes puree is using the right potato (a buttery variety like Yukon Gold) and drying them out after running them through a ricer. Read on for his amazing mashed potatoes recipe and the technique he uses to make this dish perfect. 2 pounds potatoes, preferably Yukon Gold, Yellow Finn, rates, or BF 15, scrubbed and unpeeled. Put the potatoes in a saucepan with 2 quarts cold water and one tablespoon coarse salt. Bring to a simmer, cover, and cook until a knife slips in and out of the potatoes easily and cleanly, about 25 minutes. Drain the potatoes and peel them. Put them through a potato ricer (or a food mill fitted with its finest disk) into a large saucepan. Turn the heat under the saucepan to medium and dry the potato flesh out a bit by turning it vigorously with a spatula for about 5 minutes. In the meantime, rinse a small saucepan, pour out the excess water, but do not wipe it dry. Add the milk and bring to a boil. Turn the heat under the potatoes to low and incorporate the well-chilled butter bit by bit, stirring it in energetically for a smooth, creamy finish. Pour in the very hot milk in a this ring until all the milk has been absorbed. Turn off the heat and taste for salt and pepper. For even lighter, finer potatoes, put them through a very fine sieve before serving.